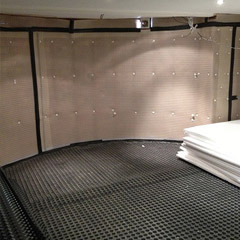 BAR Preservation is a specialist in the field of below-ground waterproofing; regularly converting old damp spaces beneath people’s homes into spacious dry environments - creating bedrooms with en-suites, play rooms, games rooms and offices or simply dry usable storage space. 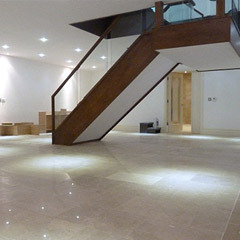 Our specialist basement surveyors hold the CSSW qualification and can advise you on design, layout, building control issues and are available to answer all your basement conversion questions. The BAR basement conversion team will take full control of your project from inception through to design, onto construction and finishing detail. If preferred, our surveyor will offer quotations for specialist waterproofing works only, in the event a client wishes to use their own building contractor or indeed wish to carry out general works themselves. Our staff are happy to work alongside others and to provide support and advice to other trades whilst on site. New flooring, wall and floor insulation. Staircases leading down the basement. Providing and installing windows for natural light. In choosing BAR Preservation, you can be assured of excellent service and a very high level of workmanship from qualified surveyors and installers. We are regularly appointed by insurance loss adjusters to retrofit waterproofing systems into properties which have experienced failure of tanking systems, some of which are often only a few years old! BAR Preservation have undertaken basement waterproofing projects ranging from a few thousand pounds to well over £100K. Whatever your needs, you can be assured of a great service, no matter what size of project you require.